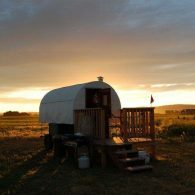 Sleep in a Sheepherders Wagon! 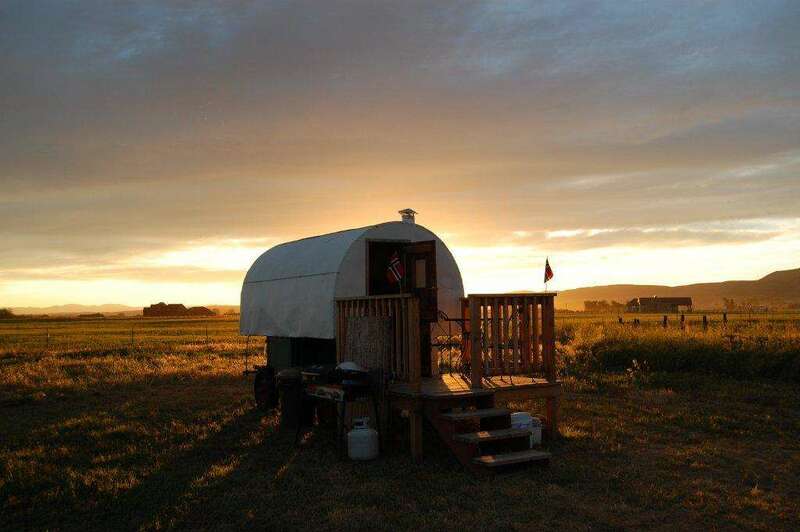 Located between Yellowstone National Park and Glacier, we offer 2 wagons or tent space! Come and enjoy the serenity we call home. Nestled in the Gallatin Valley just walking distance to the East Gallatin River. We are minutes from the airport with many outdoor recreational opportunities in the area as well as taking in life on the farm. Enjoy the many species of wildlife and birds all around. We live on 40 acres of the original 160 acre homestead that belonged to my husband’s Grandfather. We purchased the land in 1985 and it has been continually evolving into our own farmstead. We are less than 1/2 mile from the East Gallatin river, with several other world-renown rivers just within minutes. We also have many biking routes in the area. A nice, hot shower awaits! I have raised sheep for over 20 years and have sold my fleeces to hand-spinners all over the world. Roving and yarn are for sale on the farm as well as needle felting kits, classes and supplies, tailored to your desires. I milk goats each morning and we raise our own chickens for meat and eggs. In addition to that, we have a small flock of turkeys and raise our own beef and pork. As of Aug 6, 2014, we have a new-born calf and its mama! As a guest here, you are welcome to the bounty of the garden and the farm-fresh eggs.Your visit is as private or interactive as you wish. 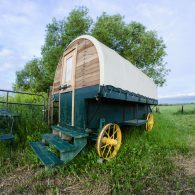 We are currently offering nightly or weekly stays in our newly restored antique Sheepherder’s wagon. 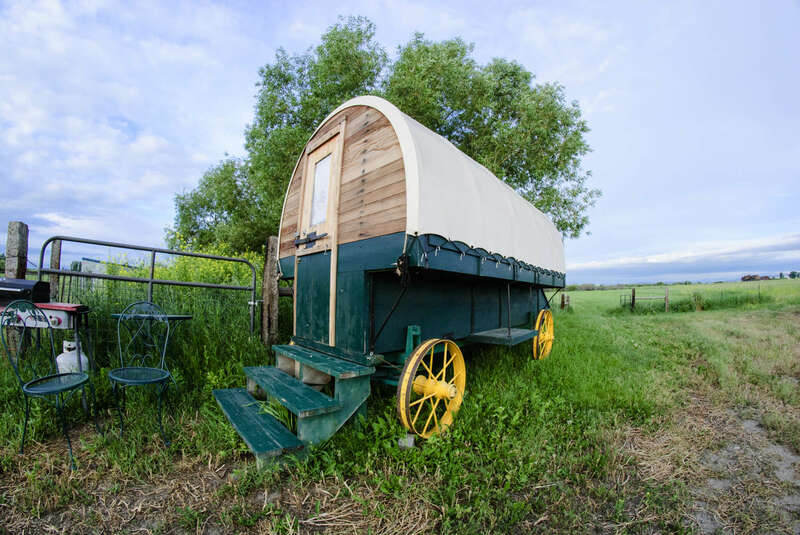 The wagon was built sometime before 1926 by the Winona Wagon Co. in Winona, MN. 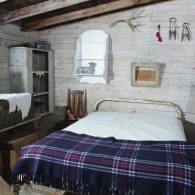 It was used in the early to mid 1900’s as a Sheepherder’s wagon. He lived in this wagon while watching over the sheep. We also have the Brusset wagon. Each sleep 2, but one can fit on the floor in a sleeping bag. As mentioned, tent space is available or park your RV! Just inquire. Instructions: Please check with farm for seasonal date confirmation. 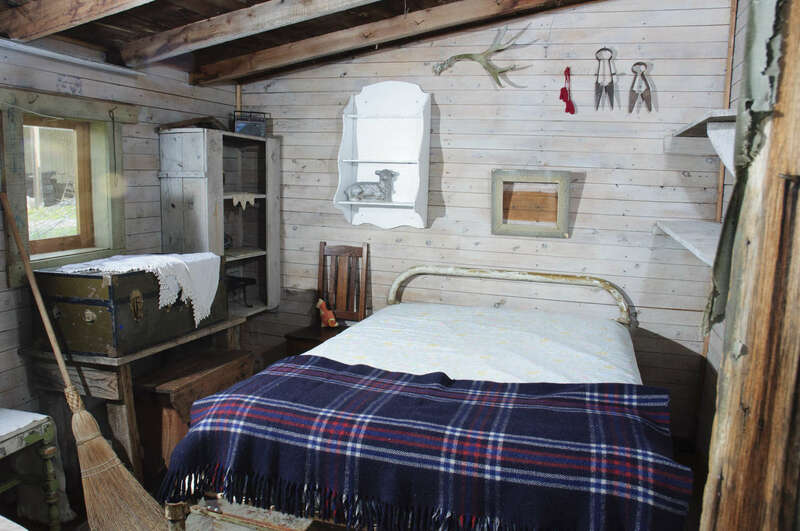 Special Instructions: A cabin on wheels, it's an antique sheepherder's wagon. Sleep 2 in the double bed and one on the floor.